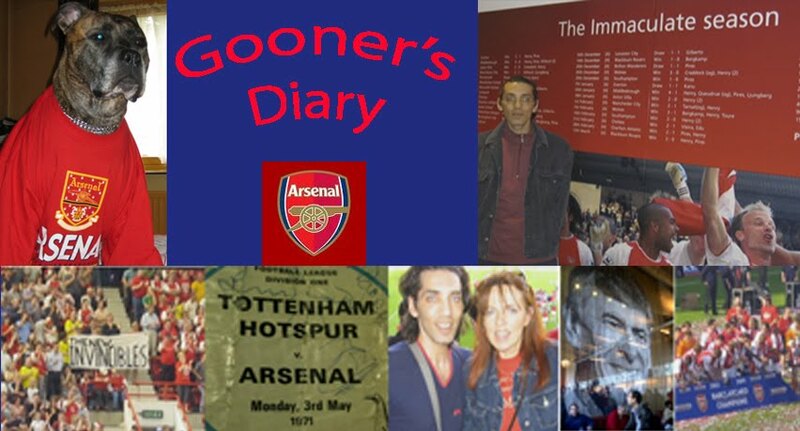 Gooner's Diary: You Can Keep Your Catenaccio! Spurs failure to turn up against Norwich was like an intravenous shot of sunshine, as we Gooners wallowed in the rib-tickling Schadenfreude-high, which dispelled all the gloom of an otherwise miserable Easter Bank Holiday Monday. Having turned a 13-point deficit into a 2-point lead (with a game in hand), I'll be absolutely mortified to see all Sunday's hard work against City undone, by dropping points at Molyneux tonight. A failure to show Wolves sufficient respect, with anything less than a fully committed display, would be absolutely criminal. Hopefully the Gunners will be travelling to the Black Country with the hard-learned lesson of Loftus Road still fresh in their minds, knowing that (unlike Spurs!) we simply cannot afford the creeping complacency responsible for our temporary derailment against QPR? However while we fixate on finishing above our neighbours, as the potential saving grace to this "turvy-topsy" season, you have to wonder whether the "small" matter of North London pride is sufficient motivation for our players. I’ve made the mistake in the past of assuming that the lads might at least be fired up by the prospect of the prolonged beach-time that would result from avoiding awkward pre-season Champions League qualifiers. No matter the appetite for the consolation prize of 3rd place, although inspiration might’ve been in short supply in Sunday’s game, the Gunners were certainly not found wanting for the necessary application to ensure we retain our seat at Europe’s top table. The misguided antics of Mancini’s pet “Bozo” might’ve stolen all the headlines, but in truth Balotelli only distracted attention away from the fact that only one “team” turned up at the Grove determined to prove a point and this definitely wasn’t City. If I’d made the long trip down from Manchester, knowing how vital it was for City to grasp the last remaining thread of their title pretensions and with so many million’s worth of star-turns at Mancini’s disposal, I would’ve been seriously disappointed by the way in which they set their stall out so conservatively. But then when it comes to such crunch encounters, the Italian’s “catenaccio” pedigree always seems to prevail. With David Silva apparently running out of steam, in the absence of the Spaniard’s guile and once Yaya Toure had limped off, I must admit I was feeling confident. But perhaps most surprising is that we deservedly won this game, with a performance that was some way from the Arsenal at their best. Jack Walker proved with Blackburn (on a budget that is laughable compared with the bottomless pockets of football’s modern money-moguls) and Abramovich has demonstrated since that it is possible to buy the title. But ultimately, over the course of a 38-game marathon, you simply cannot expect the same selfless team-ethics from the coming together of eleven, money-motivated individuals, when compared with the sort of committed camaraderie, evident in a squad that’s been grown more organically. I spent much of Sunday’s game bellowing myself hoarse, pleading for the Gunners to up the tempo, dissatisfied with our lack of drive and positively desperate for Walcott, Van Persie or anyone in red & white to impose themselves, by grabbing this contest by the scruff of the neck – obviously prior to Arteta finally grasping the nettle in such stunning fashion and our the piss-taking Poznan response. Evidently I wasn’t particularly enthusiastic about handing Utd the title on a plate. But far more important than this, ultimately, every Gooner present savoured the sadistic delight (eg. “Carlos Tevez, he plays when he wants”) of our ability to demonstrate to the forlorn looking City suits in the directors box that the Premiership conundrum cannot simply be solved by the benefactor with the biggest bank balance. Ramsey’s greedy last-gasp bid for glory excluded, it was the Gunners’ integrity and our willingness to put in a shift, which won the day. Whether feigning, or not, I very much doubt we’d witness the Arsenal all trotting into the dressing-room at half-time, without paying the slightest heed to a team mate rolling around on the turf. Meanwhile, such was my own emotional investment in this match that I doubt I’d have been left feeling any more spent if I’d actually played for 90 minutes. Hopefully both myself and the Arsenal will have recovered in time for tonight’s encounter. After having given our team-spirit ‘the big ‘un’, they bloomin' well better not let me down!